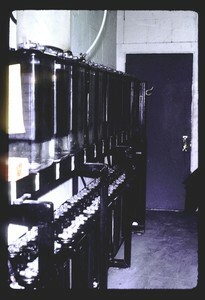 Ashdown was originally equipped with large storage batteries in glass cases. Each battery was 2.15 volts when fully charged. 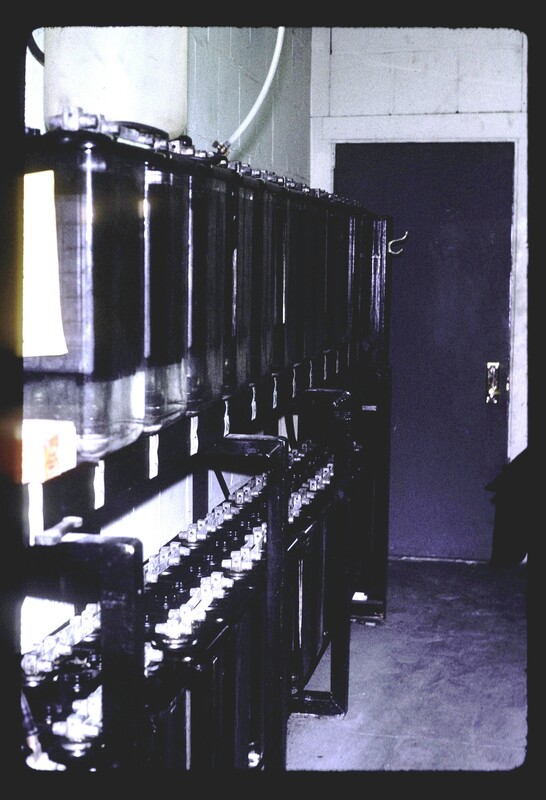 These batteries (shown at left) were later replaced by much smaller batteries, as the switchroom had emergency backup AC power by that time.